Increase your revenue, drive conversions and transform your eCommerce site today with Recommend, our easy to use retail personalization platform. Deliver highly personalized, targeted content directly to your users for a fraction of the cost of any other similar software on the market. We guarantee to increase your revenue otherwise it’s free! Engage each and every customer with a personalized shopping experience that keeps them coming back for more. Our easy to use, powerful personalization platform provides you with every tool you need to optimise your site and analyse your customers for increased sales and customer satisfaction. Access a world of customer insights, analyse your customer’s behaviour and segment them into smart groups with our easy to use platform. Deliver automated, personalized recommendations that will engage and convert every shopper in real time. Recommend helps you understand your customers and transform insights into revenue. Amazing software, it’s simple to setup and delivers relevant recommendations. It really helps our customers to find what they are looking for. Focus on your customers and forget the tech with Recommend. 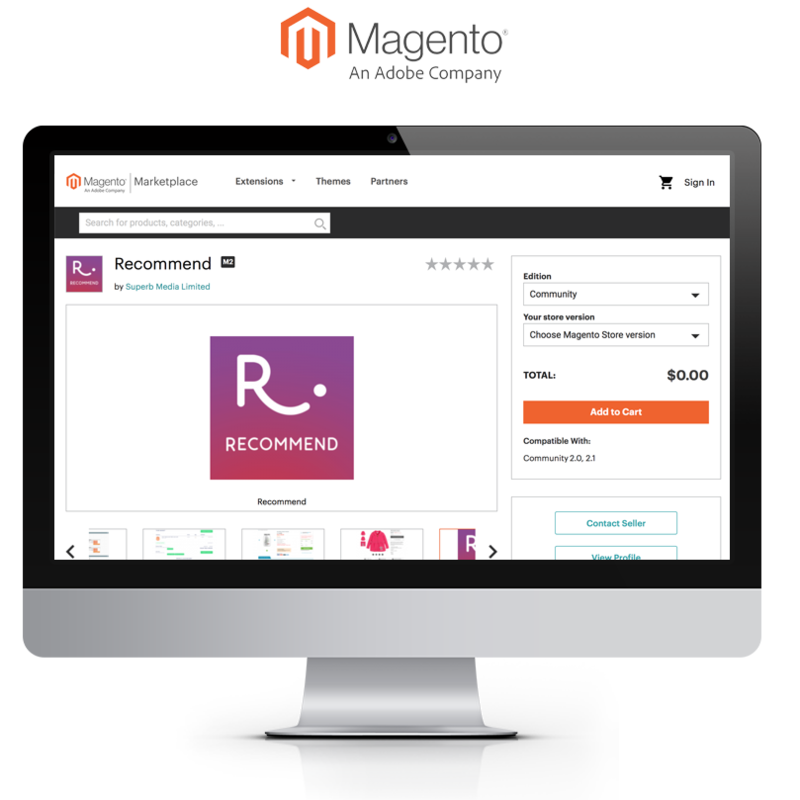 We’ve developed Recommend especially for your eCommerce site on Magento, which guarantees you much simpler integration than any other personalization software out there. Just download and install Recommend to optimise your site straight away. What are you waiting for!